The 11th and Applegate park and ride lot is paved, stripped, ADA accessible, and has a 20+ vehicle capacity. 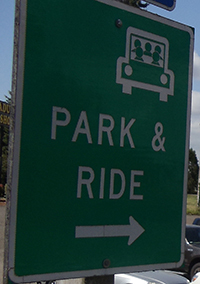 There is a two-to-three person bench, adequate lighting, and bike racks for six. 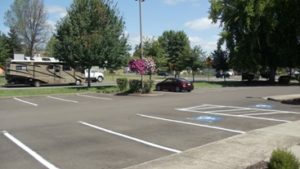 The lot occupies the same space as the Philomath Public Library.